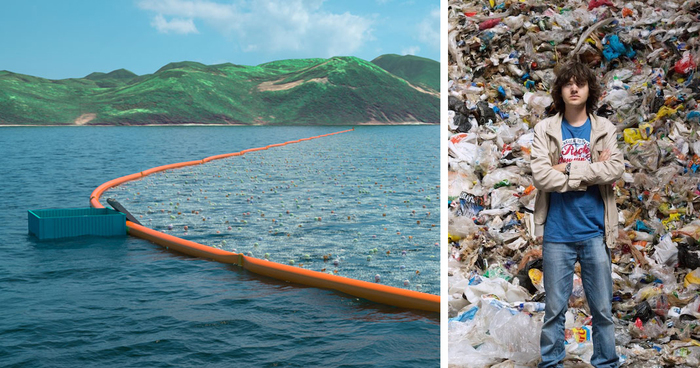 Boyan Slat, a 20-year-old innovator in the Netherlands, has a lot on his plate – he’s set out to do nothing less than rid the oceans of the millions of tons of plastic garbage that circle along their currents. And judging by the support that has rallied behind his novel approach to the problem, there’s a good chance he just might succeed. 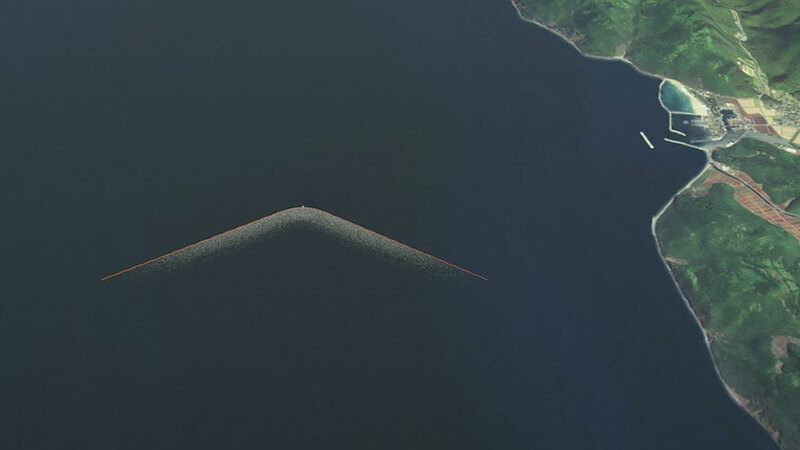 The massive rotating currents in the world’s oceans make collecting or even monitoring garbage difficult, but Slat’s Ocean Cleanup Foundation is developing a way to use those currents to its advantage. 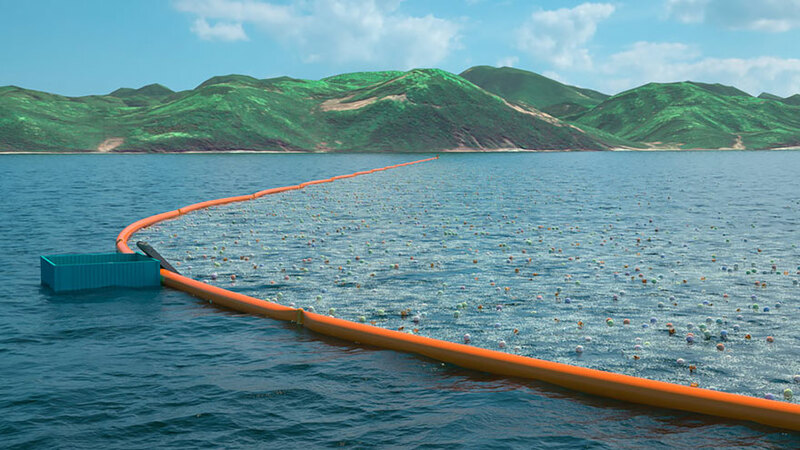 Slat envisions long-distance arrays of floats that would skim garbage from the surface while allowing aquatic life and the currents themselves to pass by underneath. 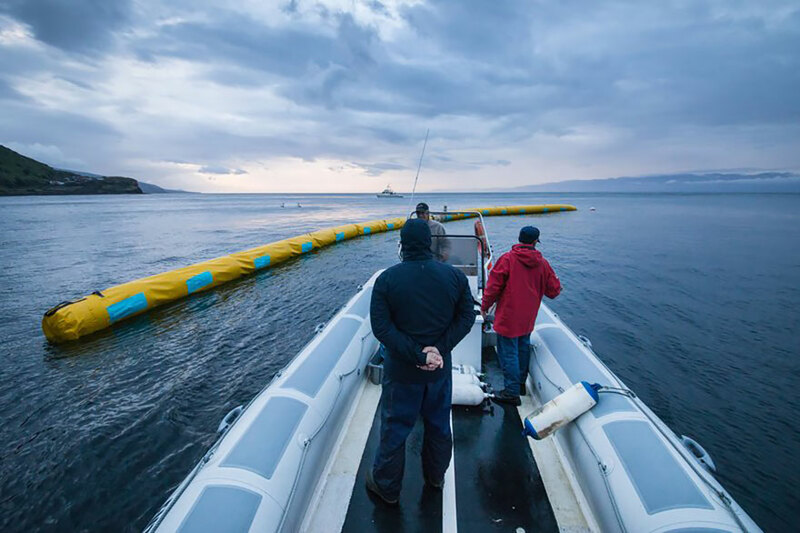 The company estimates that a 100km stationary cleanup array could remove 42% of the Great Pacific Garbage Patch over 10 years, representing a total of 70,320,000kg of plastic waste. 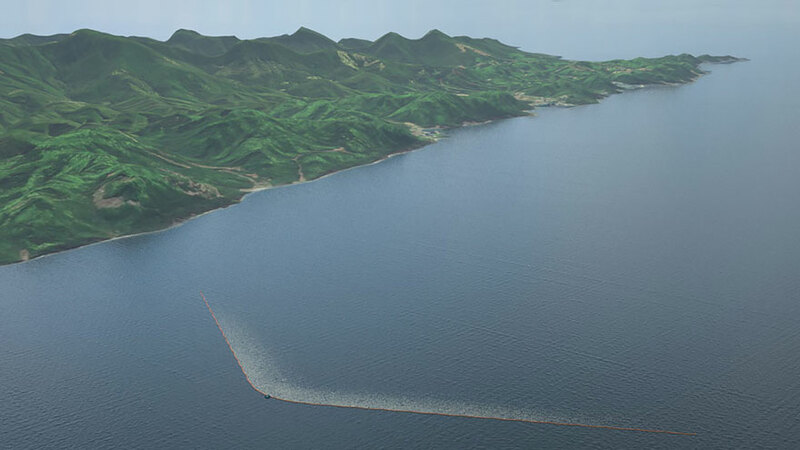 For now, they’re installing a 2,000m trial system in Japan, which will become the longest floating structure in the world when completed. There are some technical issues with the plan, which were brought up in a review by deepseanews.org. However, we hope that Slat works the kinks out of his plan and achieves his visionary goals!